5x 1.7mm x 4.0mm Male Plug Right Angle L Jack DC Power Tip Connector. 23 WAY MALE "D" PLUG DB23 CONNECTOR FOR COMMODORE AMIGA - RARE! 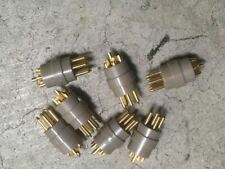 A brand-new 23 way D-SUB male connector plug with solder buckets for home soldering. Brand-new "old-stock" part, with metal body and gold plated pins. A rare hard to find part, used on the Commodore Amiga. 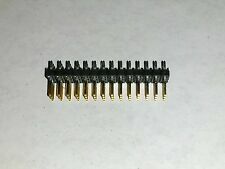 D9 Male Connector Solder Type. D9 Male Connector solder type. Simply cut off the UK plug and wire on the Australian. Also available in white. Item number:161118988237. Don't be fooled by cheap, untested products. 5x 2.5mm x 5.5mm Right Angle Male Plug Panel Mount Socket Jack DC Connector. This pin set is ideally suited to connecting between various sockets around a prototyping board such as the MB-102 prototyping board, which feature standard sockets with a pin pitch of 2.54mm. 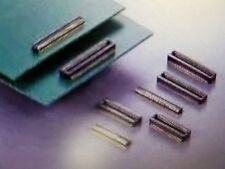 They are solidly constructed to allow repeated use once attached to a circuit board. 5x 1.3mm x 3.5mm Male Plug Right Angle L Jack DC Power Tip Connector. This "Buy Now" is for 10 pieces. Mounting Connector Type Male. Plug Type Female. Colour Silver Tone, Black. Insulator Resistance 1000 Ohm. Model GX12-4. A brand-new 21 pin male scart plug connector, with the following specification: Solder buckets for easy home soldering, Cable clamp for secure cable fixing, Tin/Nickel plated outer shield and pins. 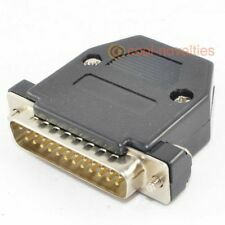 Compatible with any standard 21 pin scart socket, perfect for making your own cables and video applications. 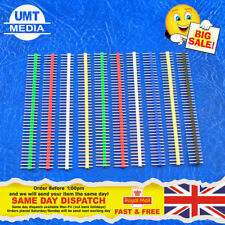 We stock scart plugs, scart sockets and many other connectors in our eBay store. Weatherproof Rated To IP44 - Splashproof. 3 Pin (2P E, 2 pole with earth) single phase. 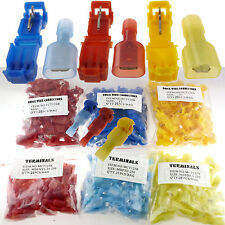 As with all industrial connectors, these will only fit matching 32 amp 3 pin 220 - 250 volt blue couplers and sockets. 5x 1.7mm x 5.5mm Right Angle Male DC Power Plug Connector. 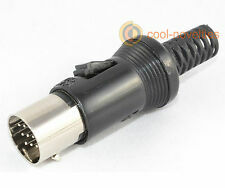 2 x 1.1mm x 3mm DC Male Power Plug Jack Connector Laptop. 1.7mm x 4.0mm Male DC Power Plug Connector Jack. 10x 0.7mm x 2.5mm Male DC Power Plug Jack Connector. 2x 1.7mm x 5.5mm Right Angle Male DC Power Plug Connector. 2.5mm DC Male Plug to 2.5mm DC Male Plug. 2.5mm DC Power Plug Lead. 2.5mm DC Power Plug to Plug. 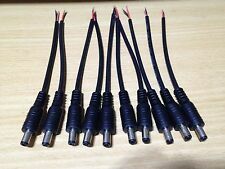 5x 2.5mm x 5.5mm Male Plug Right Angle L Jack DC Power Tip Connector. 5x 2.5mm x 5.5mm Male Female Pair DC Power Plug Socket Jack Connector. 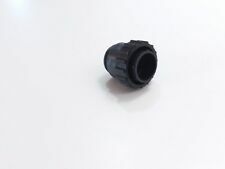 1.7mm x 4.8mm Male Plug Right Angle L Jack DC Power Tip Connector HP Compaq. 2.5mm to 2.1mm Male DC Converter Adapter Power Plug Jack Connector. DC plugs for soldering on to electrical cable.